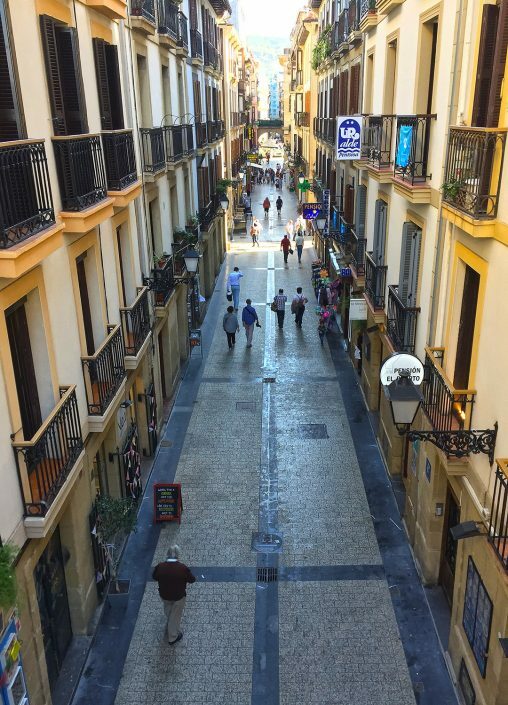 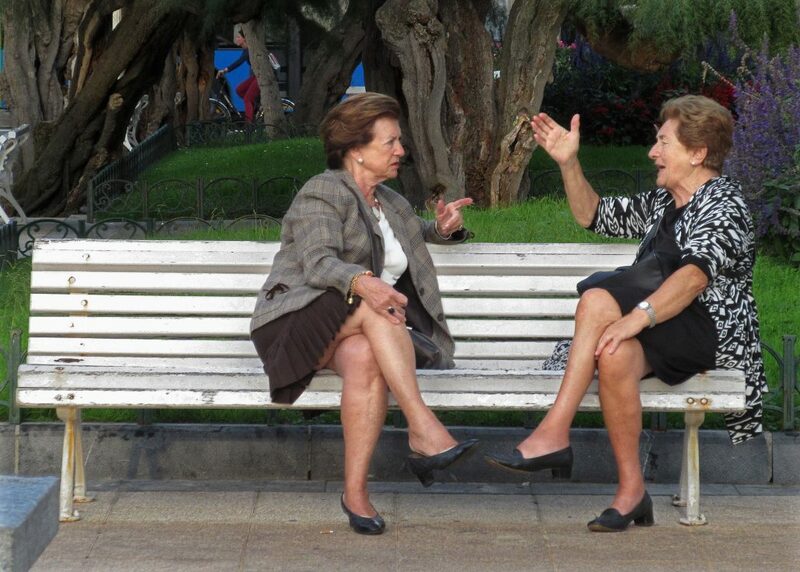 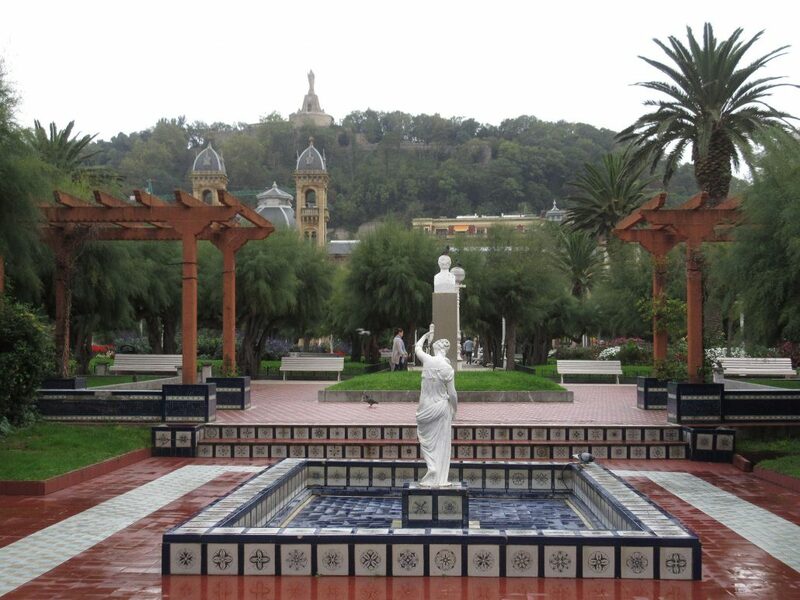 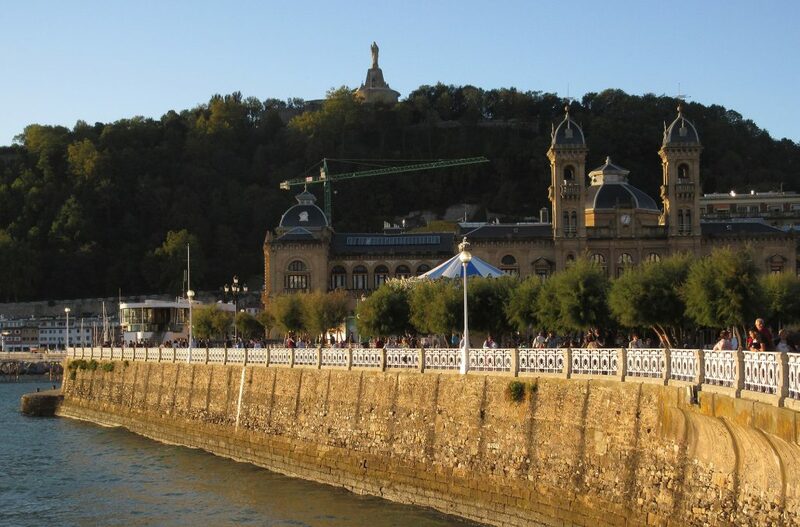 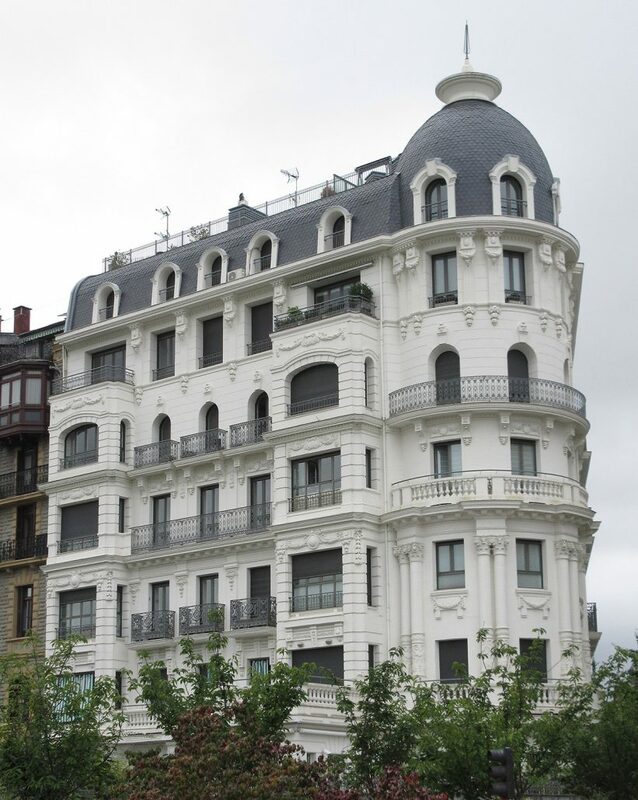 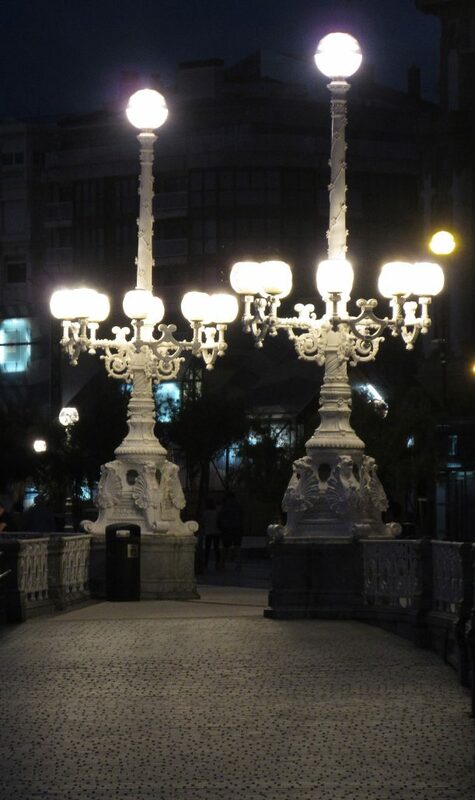 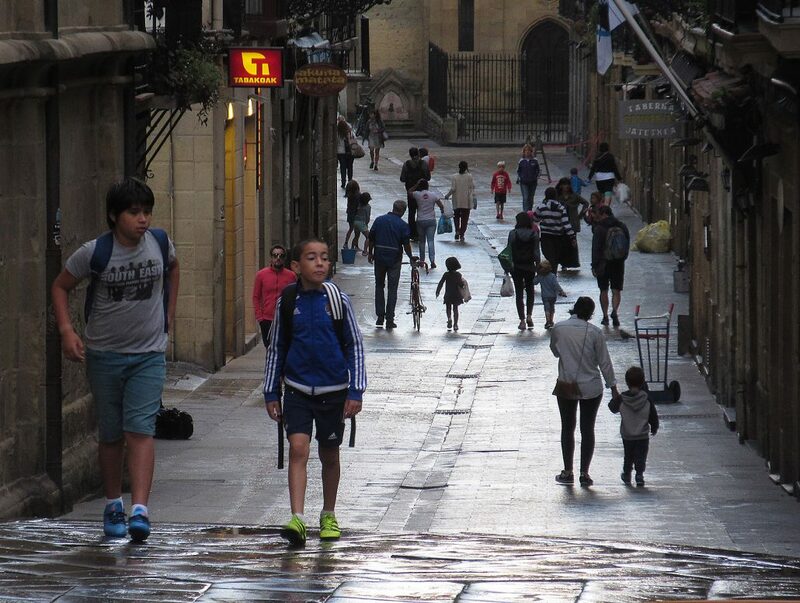 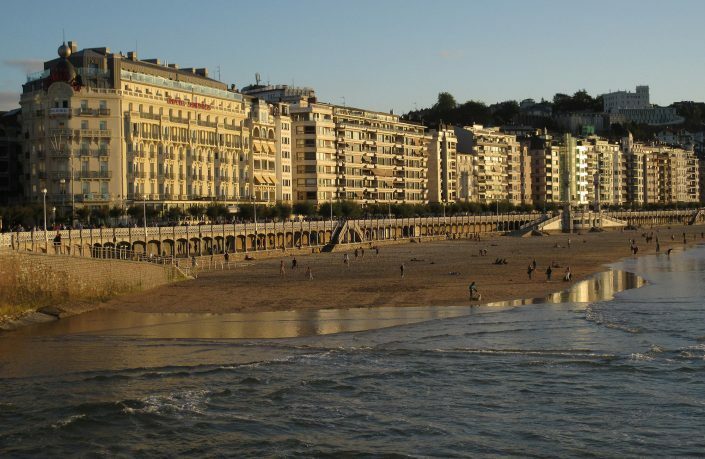 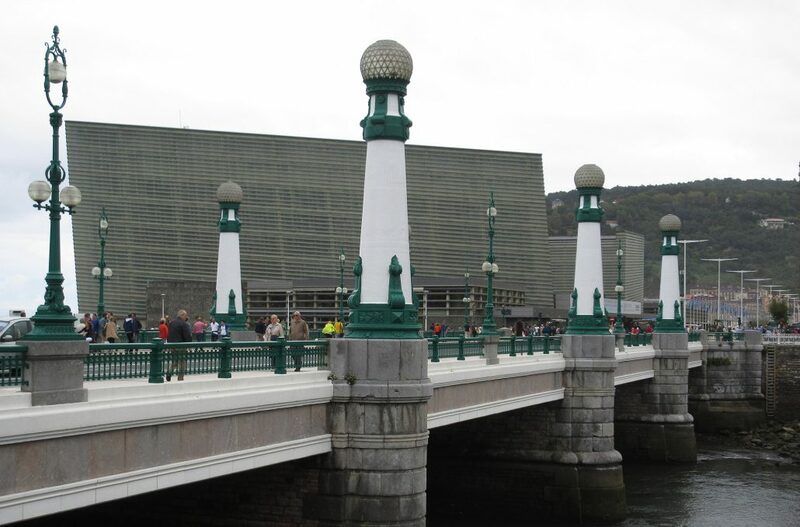 San Sebastián – A splendid evening to enjoy the promenade. 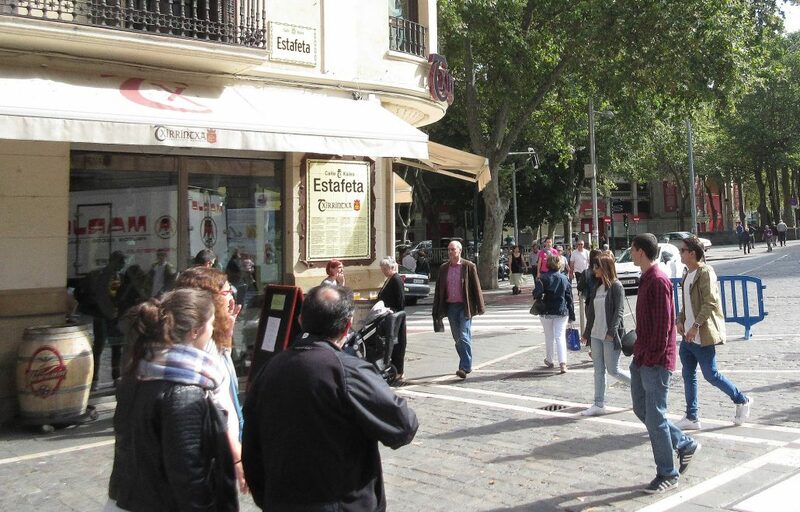 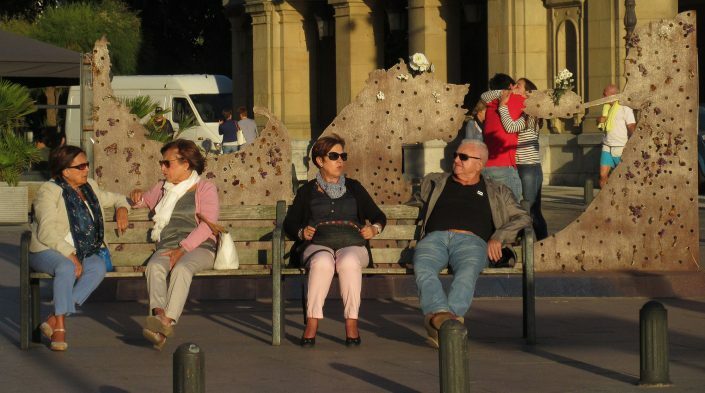 Behind these folks is a monument to Basques who died during Spain's civil war. 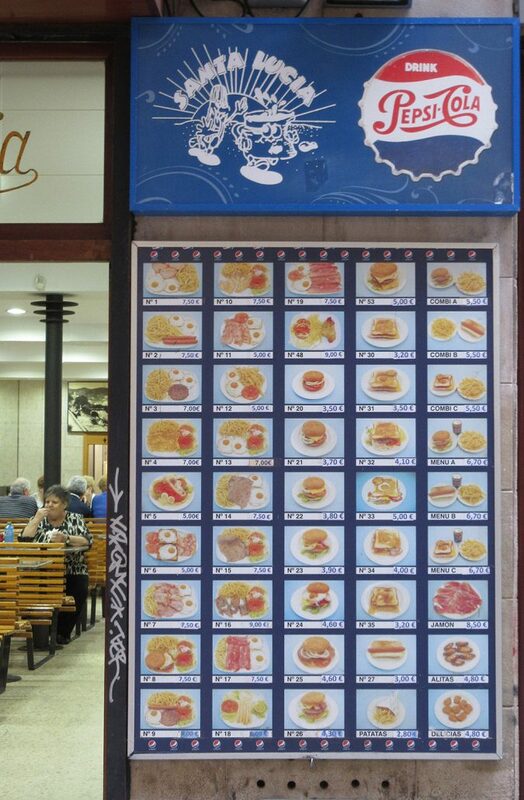 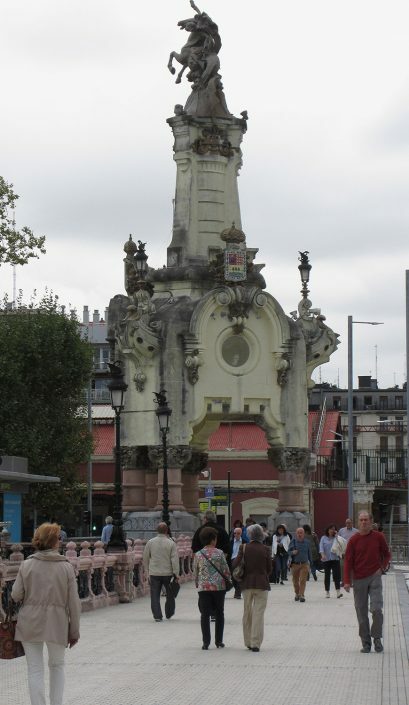 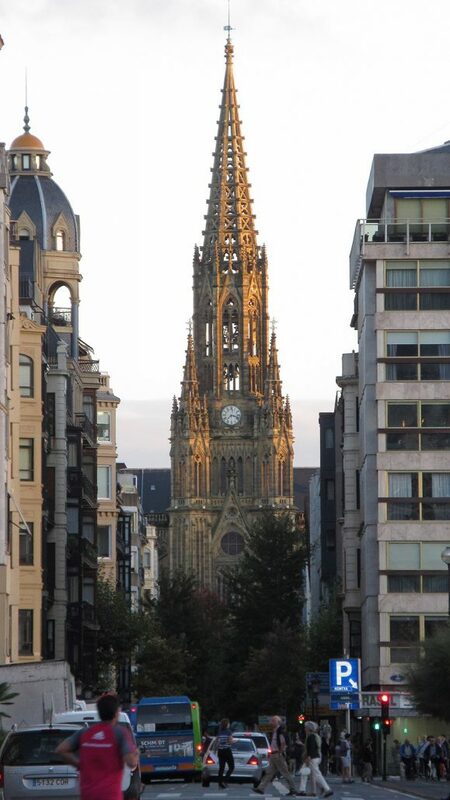 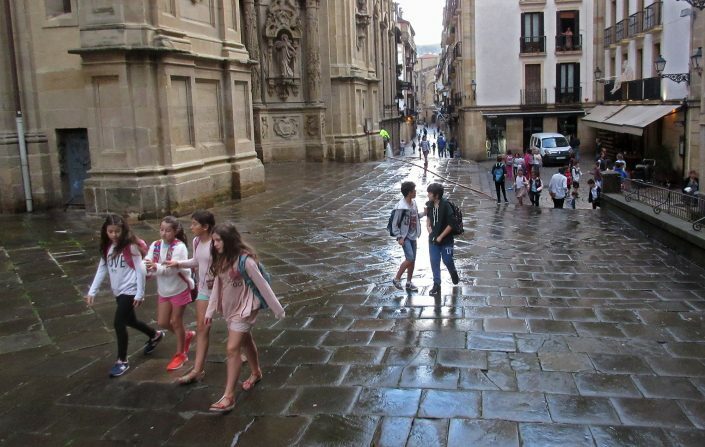 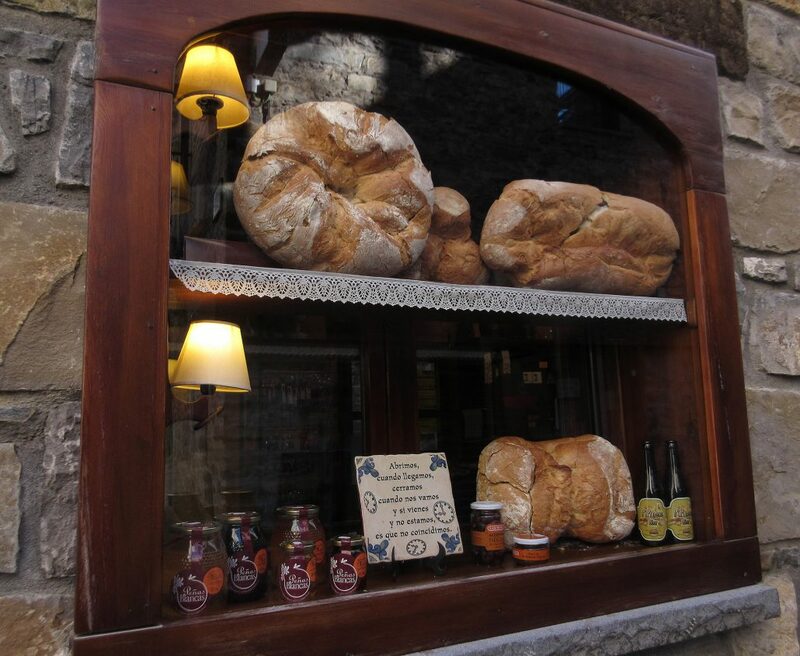 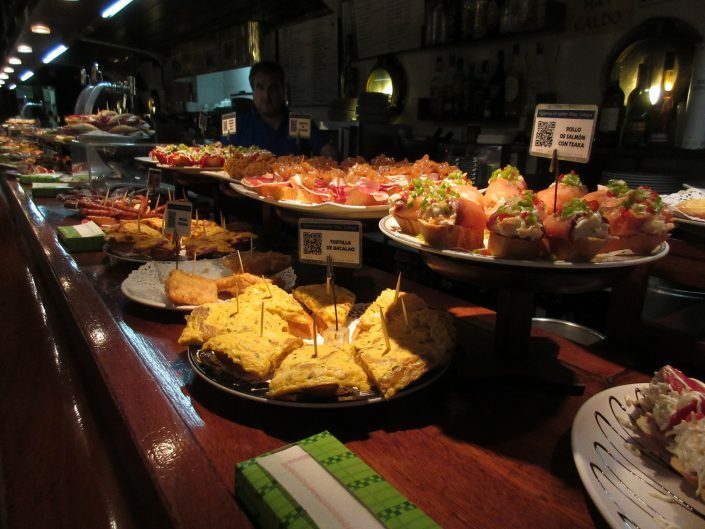 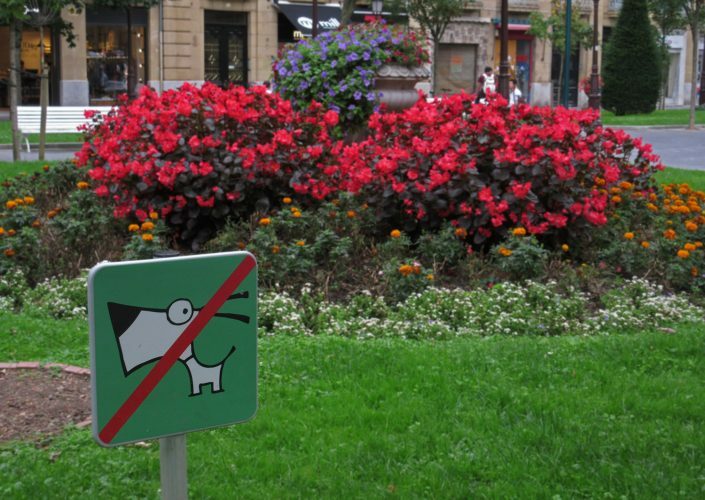 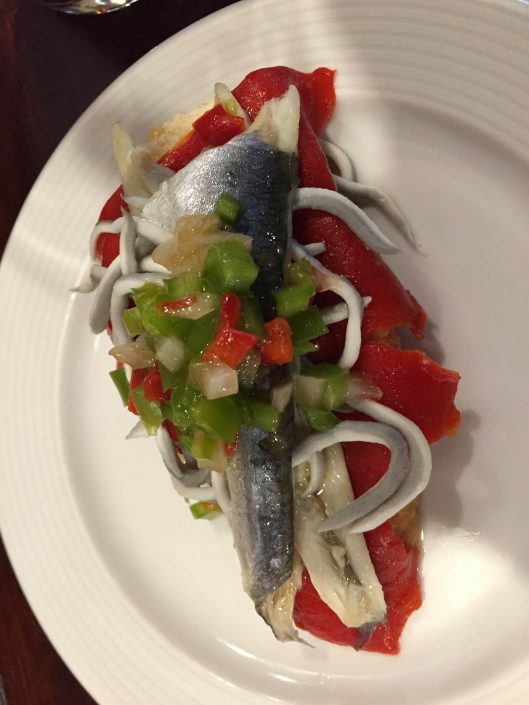 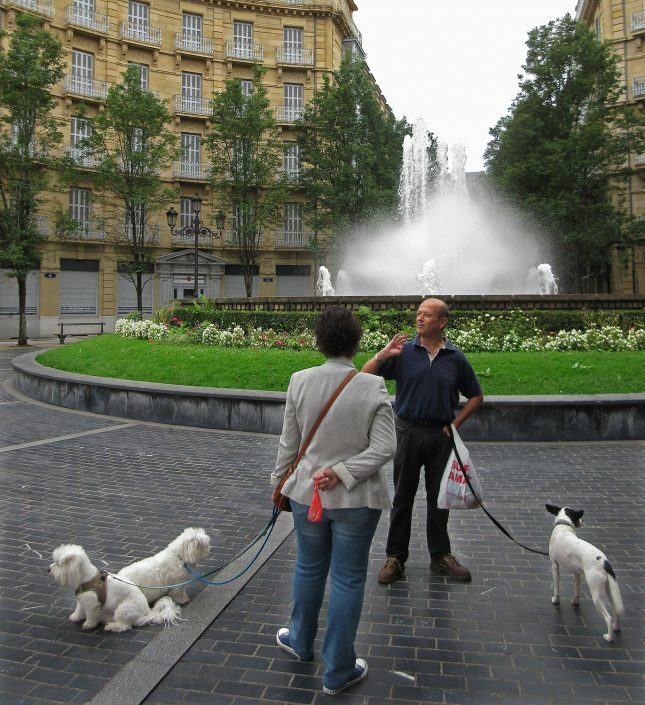 San Sebastián – The Basques have a cute way of saying, "no dogs allowed." 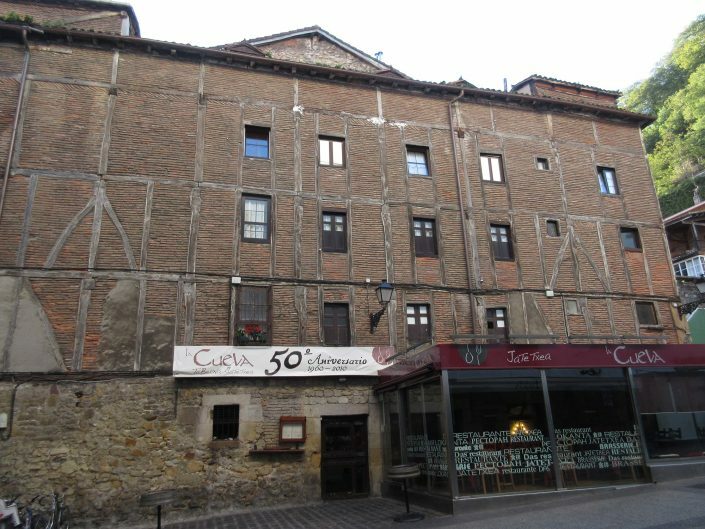 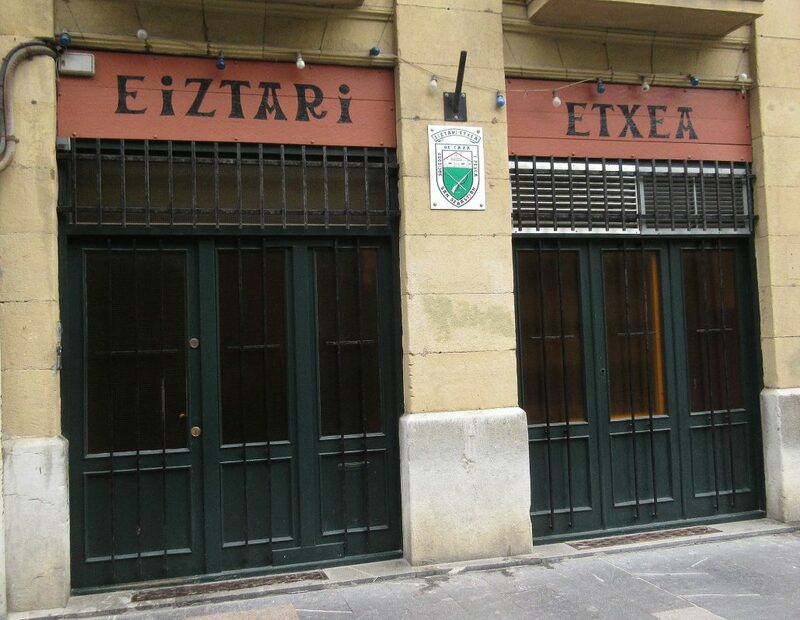 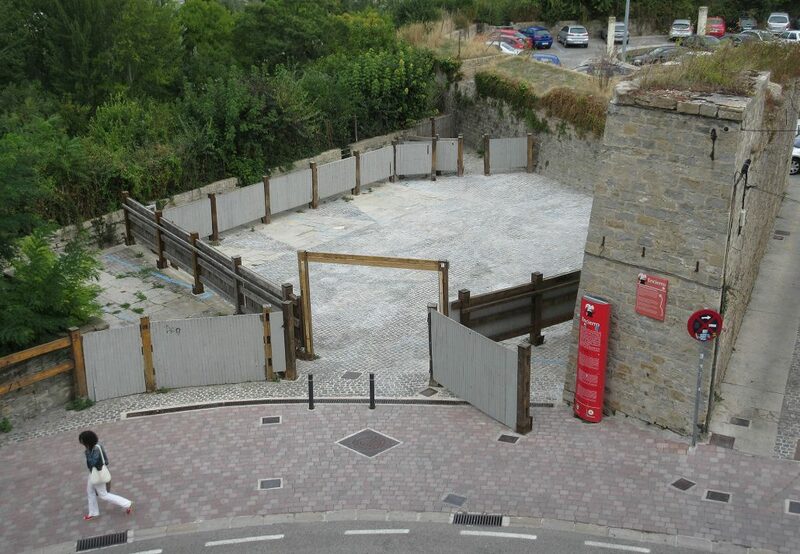 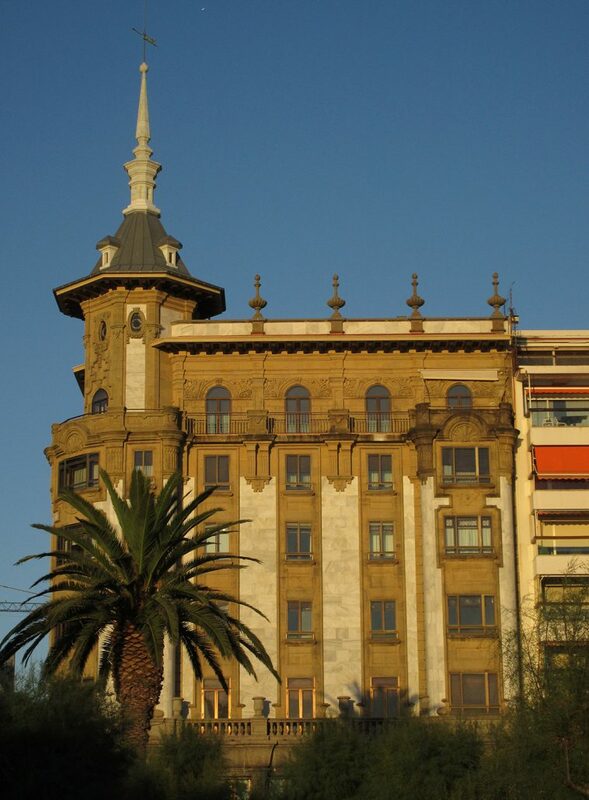 San Sebastián – A traditional mens-only club, "Hunter's Home." 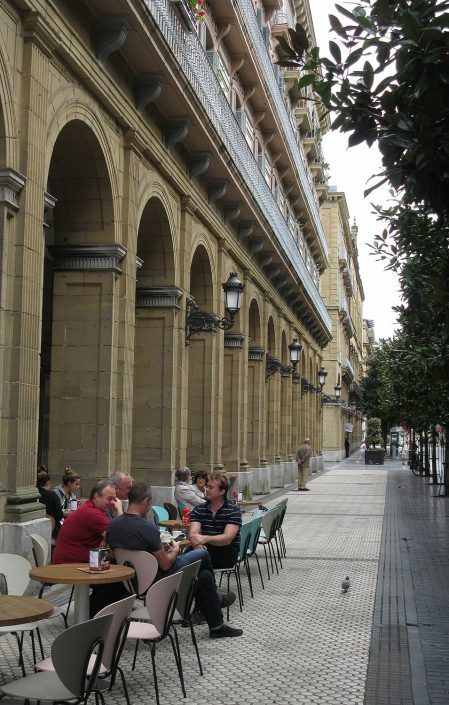 The city has several clubs like these where men gather to cook and socialize. Pamplona – Plaques mark the route of Pamplona's famous Running of the Bulls. 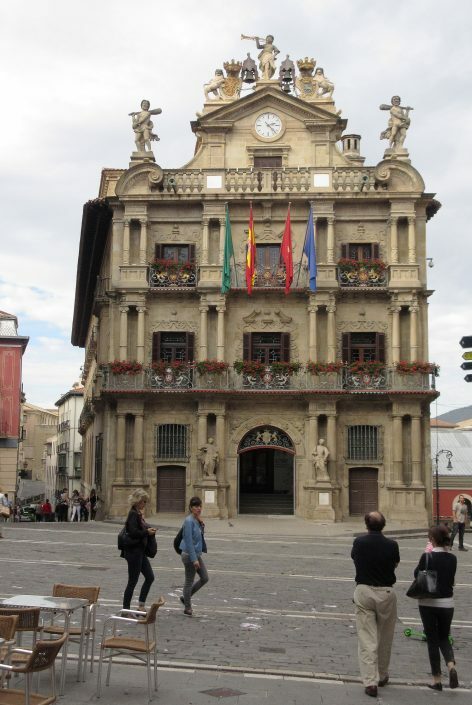 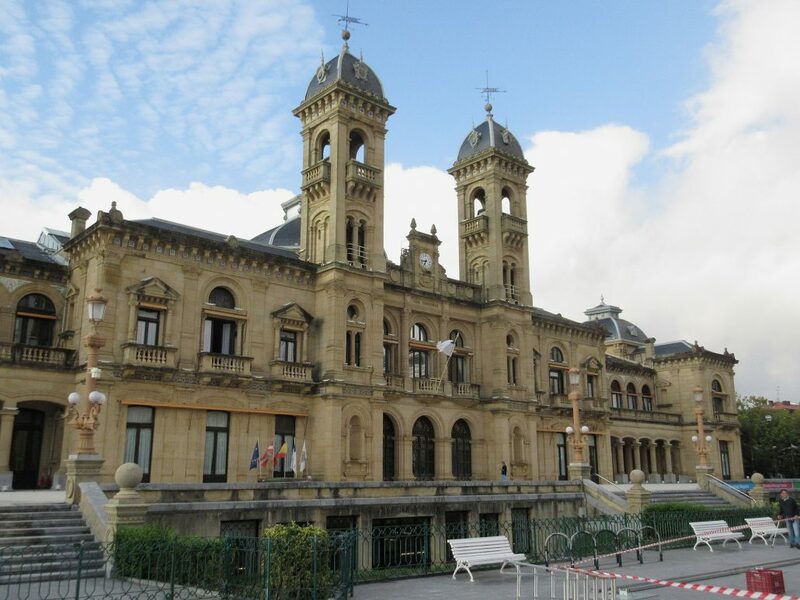 Pamplona – The City Hall was built in the late 1700s. 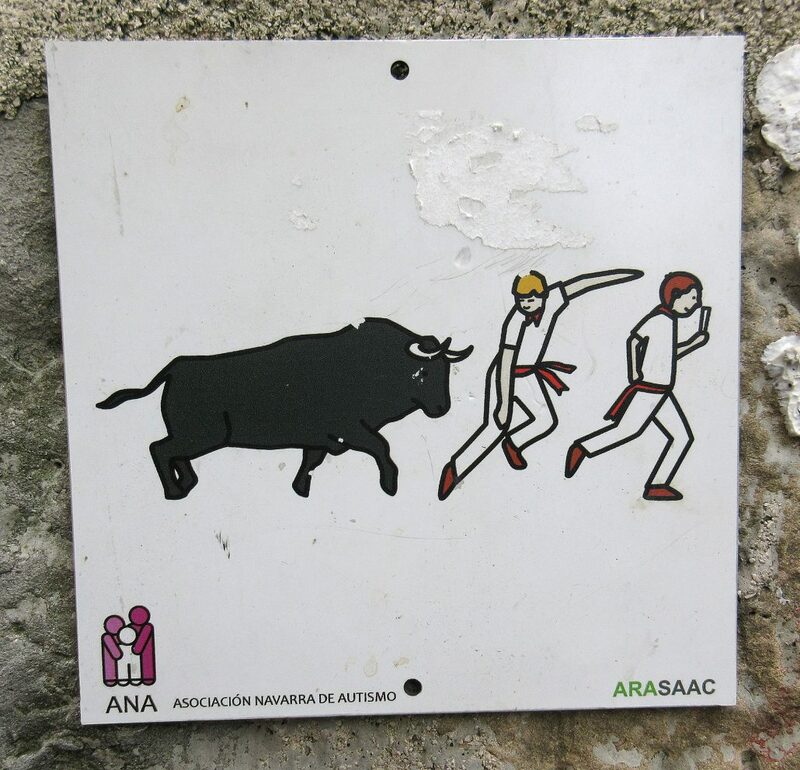 Bulls run up the avenue at left and across this square. Notice the metal plates in the cobblestones that are used for placing barricades when the bulls run. 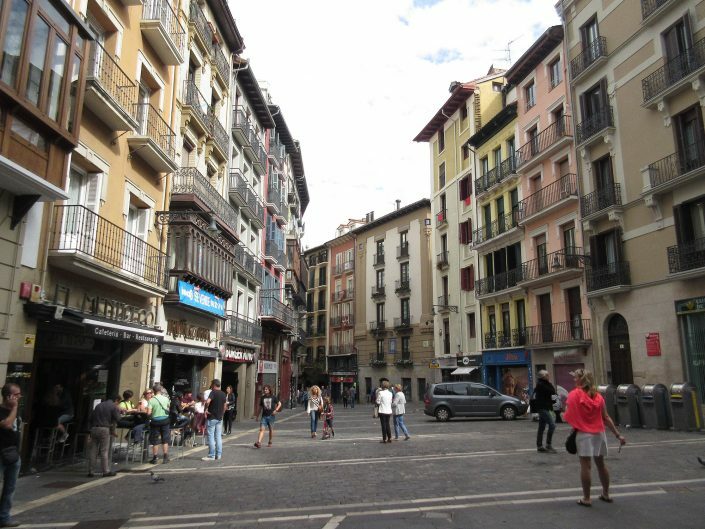 Pamplona – Bulls run up Estafeta street from the left and across to the bull ring shown at center. 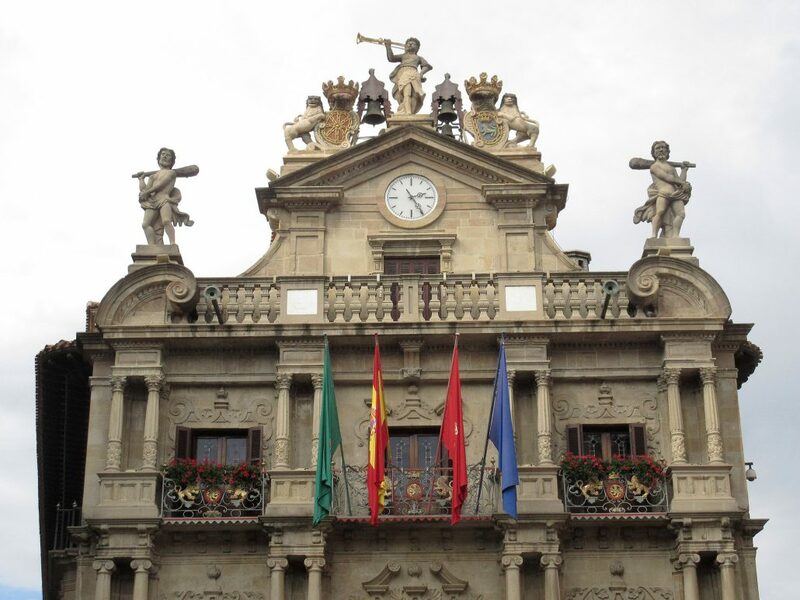 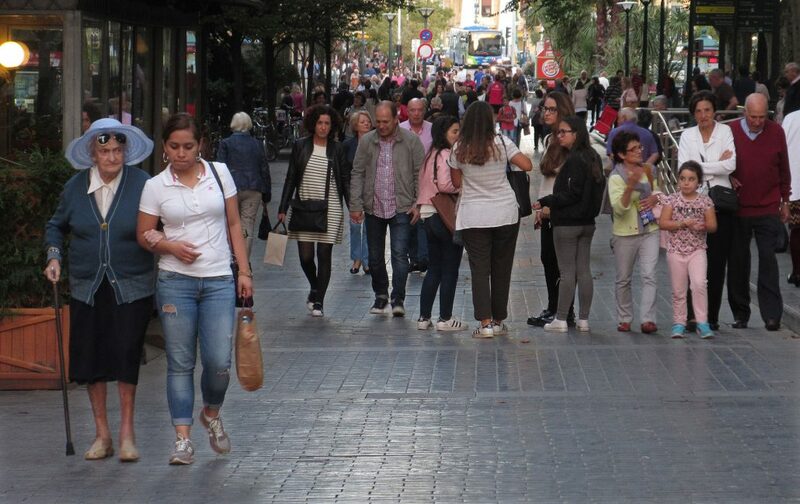 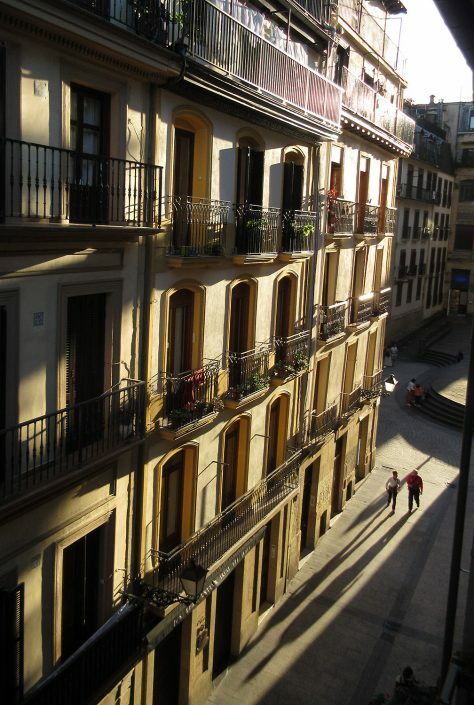 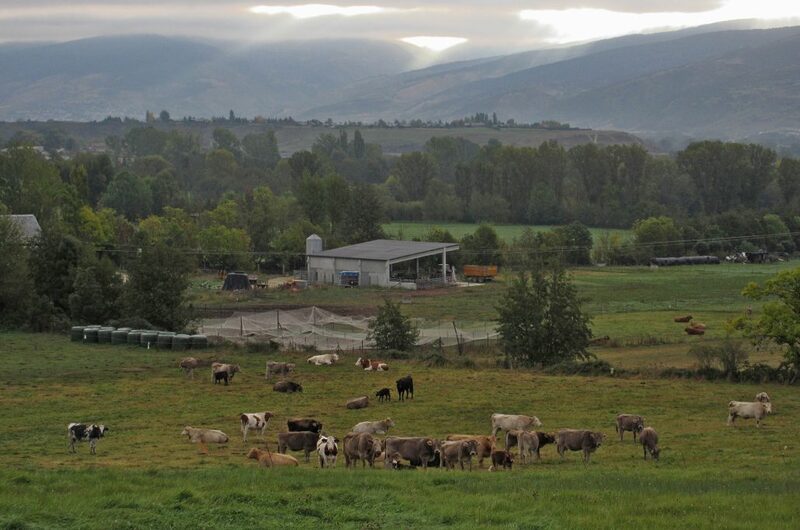 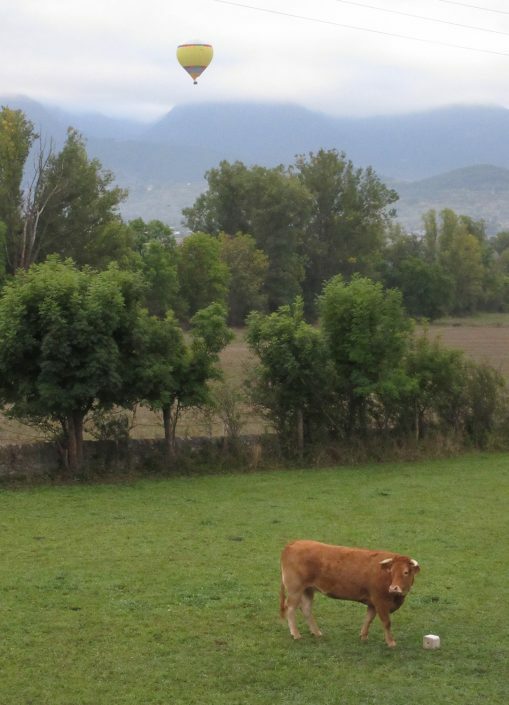 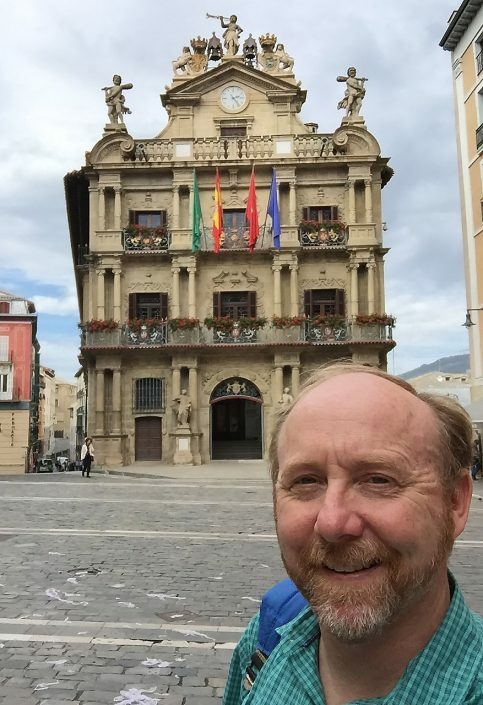 Pamplona – Bulls are corralled here prior to the day's event. 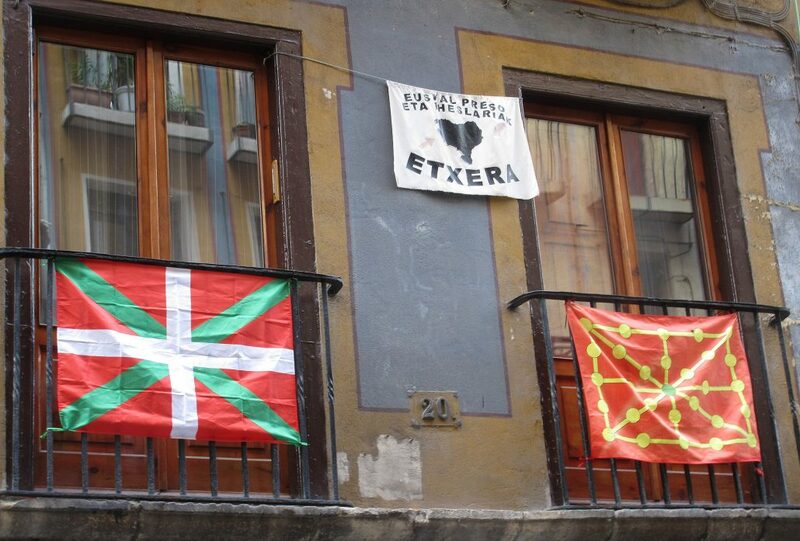 Pamplona – Proud Basques post symbols of protest. 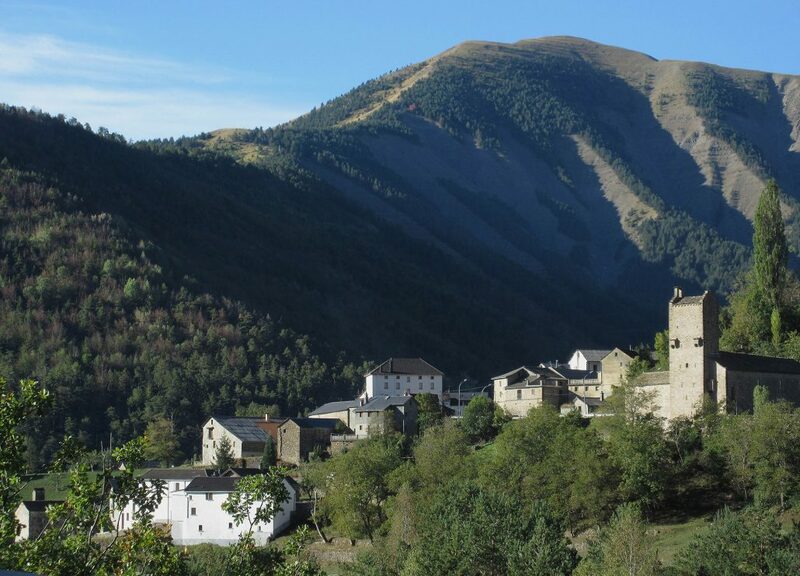 Spain, Pyrenees – Torla, with about 350 residents hugs Spain's border with France. 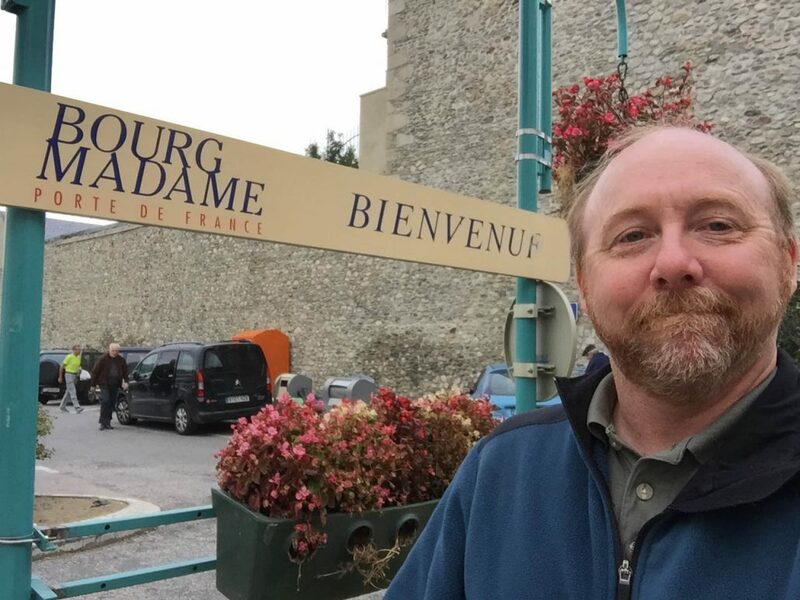 Bourg-Madame, France – I drove a half mile across the French border to get my Sunday morning baguette from Boulangerie Farinha behind me. 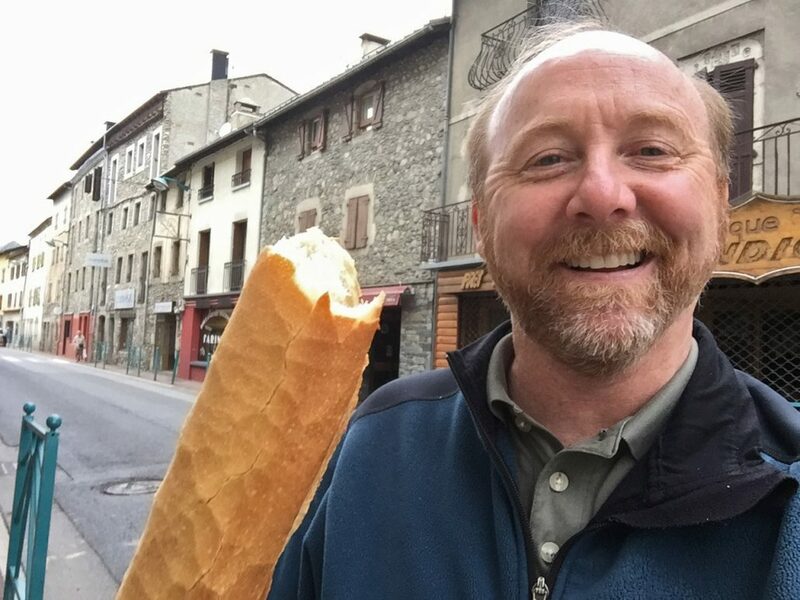 I quickly learned why the French take their bread so seriously. 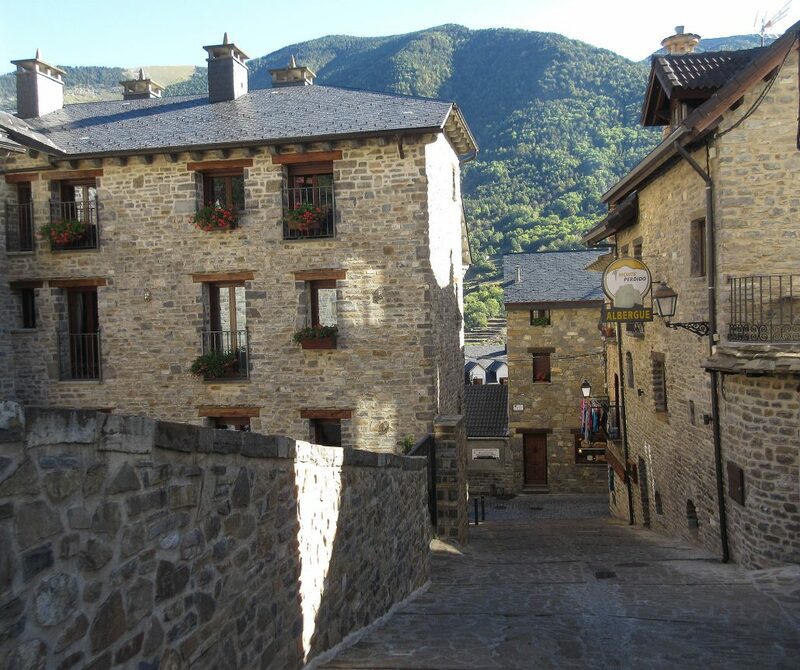 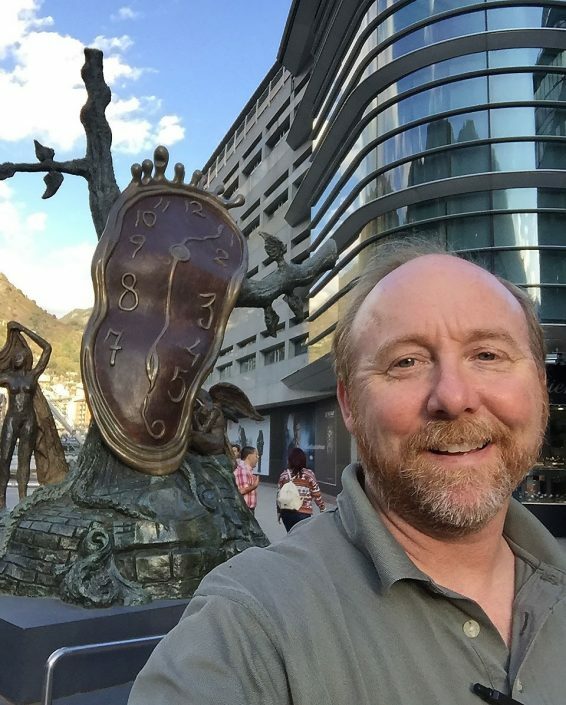 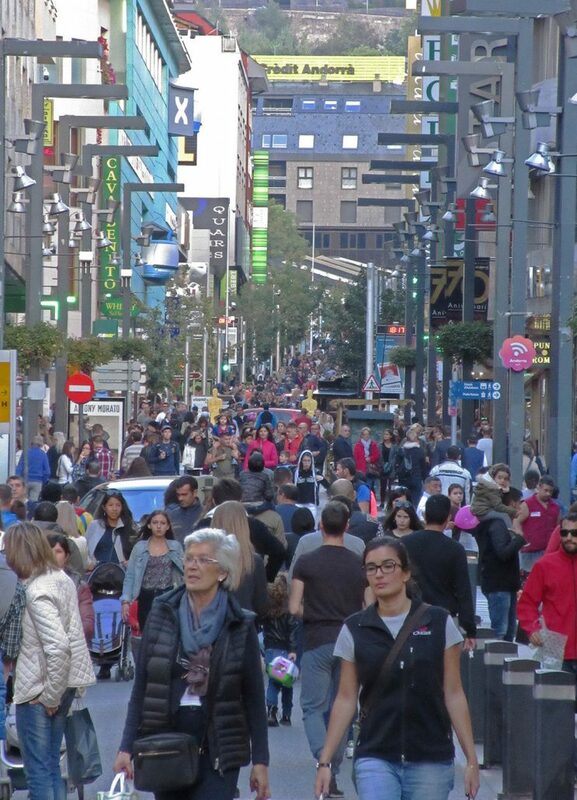 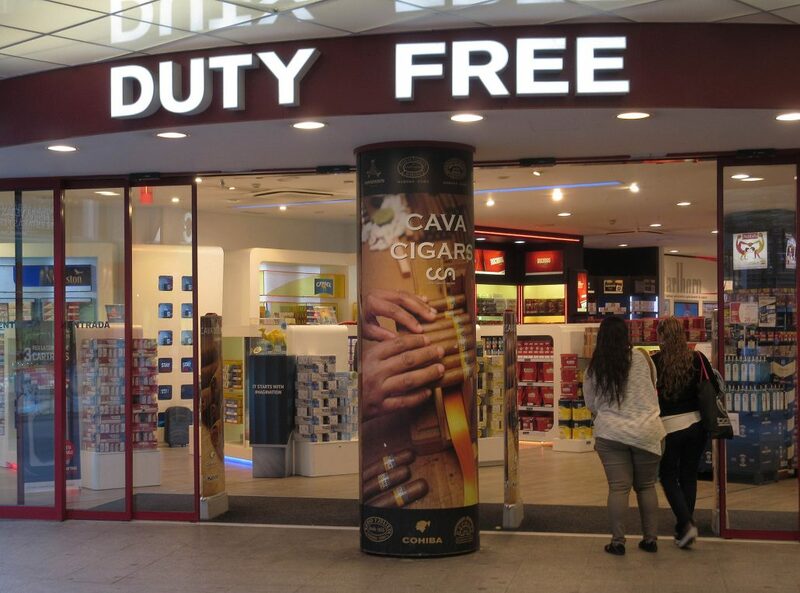 Andorra, Andorra la Vella (itty bitty country) – All the charm of a big duty free shopping mall.